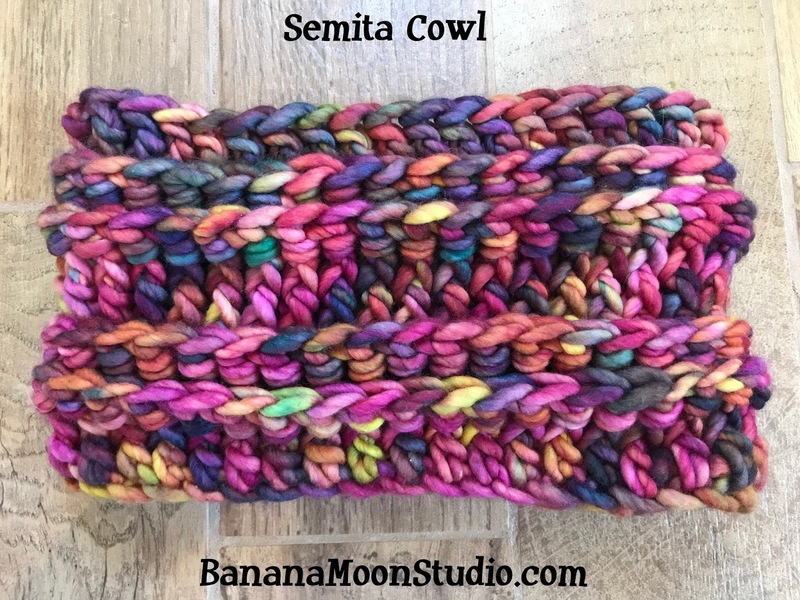 This wonderfully chunky neckwarmer is “Semita Cowl.” It is made in the super bulky yarn Malabrigo Rasta, and with a Q [16 mm] crochet hook. Those are the really big, usually plastic ones. You’ll need two skeins of Rasta, but you won’t use quite all of the second one. Find this crochet pattern on Ravelry, Etsy, Craftsy, and LoveCrochet! The finished cowl is about 27 inches [68 cm] around and 7 1/2 inches [19 cm] wide. It’s very warm. 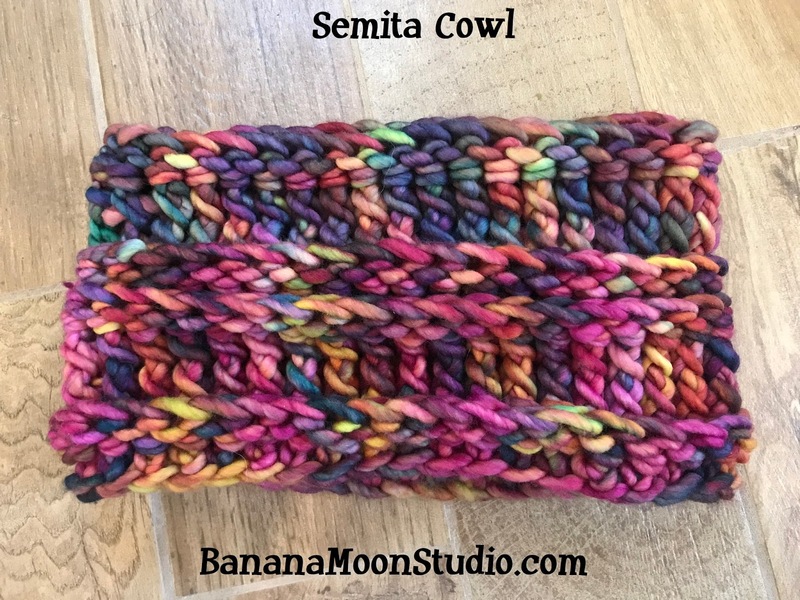 I finished this cowl while on a road trip with the Mister. We stopped for dinner at a pizza place in Ardmore, OK (Ten Star Pizza Kitchen, yum!). I’m always cold in restaurants. I went back out to the car to grab this cowl and was almost instantly warmer after putting it on. It kept me pleasantly warm while we finished dinner, even though I was wearing short sleeves. Keep it handy! 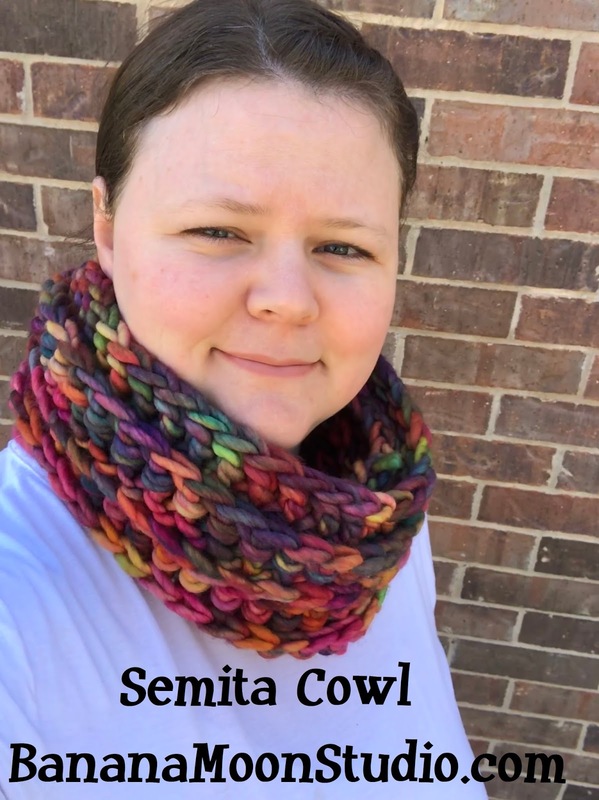 Iridescent Cowl – a Tunisian crochet pattern featuring beautiful smock stitch! Variety Show Scarf – a super scarf in chunky yarn – lots of warm coverage here, and fringe! 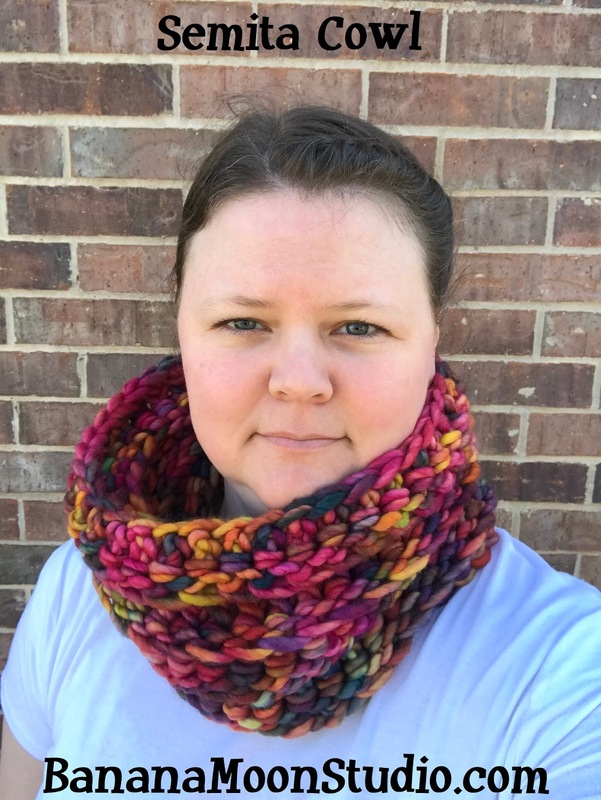 Berry Scarf – a light and bright infinity scarf, perfect for spring and fall! Brassica Scarf – a textured ripple stitch and an asymmetric border, what’s not to love? !